The year 2016 has been truly an interesting and action filled year for poker in Asia, with a lot of new faces taking center stage. 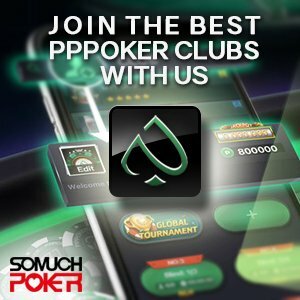 While they covered the different poker festivals in the region, Somuchpoker grabbed the opportunity to interview players and members of the industry. Matt Savage is one of the founders of the Tournament Director’s Association and is one of the main proponents that pushed for standardization and uniformity of tournament poker rules around the world. He is currently the Tournament Director of the World Poker Tour (WPT) and SMP was honored when he agreed to spend some time to share his thoughts on the future of the WPT in Asia. Marc Rivera is one of the most respected cash game players in the Philippines. Although he plays live tournaments, he normally can be seen playing in the biggest games in the country. He belongs to a family of professional poker players and is a member of Poker King Club Team Pro. KC Wong is a professional poker player from Hong Kong. He has been 1 step shy of actually winning the APPT Asia Player of the Year (APOY) award twice. At the beginning of 2016, he achieved his biggest cash to date where he placed 8th in the Asian Pacific Poker Tour (APPT) Aussie Millions Main Event for US$112,011. A few months later, he decided to step away from poker. Member of the band Half Step Down and former editor-in-chief of Cardplayer India, Dhaval Mudgal has caught the attention of the poker community by his remarkably steady performance in the poker scene. As such, he is now sponsored by the online platform Thrill Poker. Yuri Ishida is a female professional poker player from Japan, who has played in tournament circuits in both Asia and the United States. She can be found on the top 20 All-time Money list for Japan. Lester Edoc is a member of Poker King Club Team Pro and is considered one of the best tournament players in the Philippines. Starting from humble beginnings, Edoc persevered and rose through the ranks and earned wealth and glory and most importantly, the respect of his peers. Jae Wook Shin roughly started participating in Asian Live tournament circuit in the year 2015. And yet, in this short span he has consistently cashed and has even won 2 trophies – definitely something that will get the attention of the poker community. He is definitely considered one of Korea’s rising poker stars. Henrik Tollefsen, currently at the 12th spot for Norway’s All-time Money List, has made the rounds from Europe to the United States, and now in Asia, to join the most prestigious tournaments in the world. Yves “Wonderdog78” Sy is one the Philippines’ top online grinders. A software engineer by profession, Sy only plays during the weekends but has experienced great success making him one of the best and most respected online players in his country. Alexandre Dreyfus is the CEO of Mediarex Sports & Entertainment (Hendon Mob, Global Poker Index, Global Poker League). In December, he has announced the creation of a Global Poker League (GPL) China. The league, which will have 8 teams, each representing a Chinese city, will make its debut in early 2017.
Who are the most consistent ITM finishers in Asia?